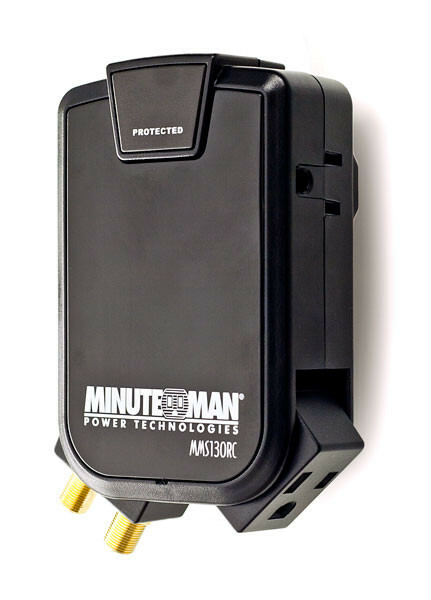 The MMS130RC 3-Outlet/1-Rotating Outlet, 1 Rotating Coax Slimline Wall-tap from Minuteman, is the perfect for protecting wall-mounted HDTVs. These wall-taps feature side-facing outlets, eliminating the headache of plugs sticking straight out from the wall. The lower corners also feature rotating plugs, making cable routing a breeze.